We have a whole tribe of Marketing Virtual Assistants who are ready to assist clients with marketing, social media, online marketing, email marketing, and other tasks. The beauty for clients is that you have access to the best of both worlds – high-level marketing expertise that comes with 30+ years of marketing expertise including as Marketing Director and CMO who provides oversight on every single project, plus project implementation from a tribe of VAs who offer their services at affordable rates. It’s like having your own entire Marketing Department at your service … without having the associated cost! Are you a VA interested in joining the Tribe? Apply here. As a Virtual Assistant with 7 years of experience, Melanie brings experience with E-newsletters, Blogging and Social Media, plus more! In her years of experience she has learned a-lot about being detail oriented as well as marketing. Her job duties with us will include assisting with social media, as well as other general marketing tasks. We believe her get it done attitude makes her the perfect addition to the team! Torya has extensive experience doing marketing and social media management. She heads up the Virtual Assistant division of The Web Scientists. She has successfully built the social media followings of some amazing companies. Her strength is her ability to look at a situation and come up with several viable solutions to the problem. She has a great eye for design and creates some pretty amazing digital content. Amy is a stay-at-home mom who enjoys learning new things. 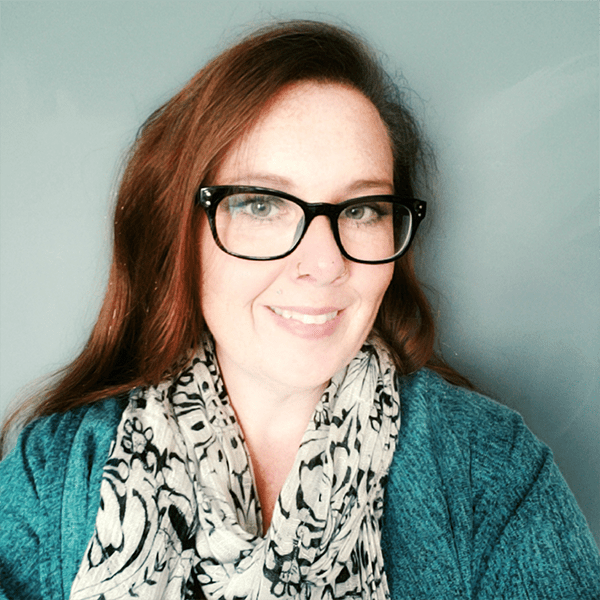 WordPress, Infusionsoft, e-commerce, Quickbooks, and Canva are a few of the skills that she brings to her clients. She pays close attention to the smallest details and loves to come up with creative solutions. Aside from helping people with their online businesses, she enjoys spending time with her family, reading, and working on craft projects. I help businesses generate leads through Social Media Marketing. You can expect extreme organization, detail-oriented, excellent time management and communication skills. I am dedicated to each and every client of mine. I believe dedication is the key to success so need me to do a late night task? Sure, I am up for it. I will take your brand and business seriously as if it were my own. I am big on learning and improving myself so if a client requires me to pick up a new skill or do a course to assist their business, I am more than willing to oblige. Kathryn helps businesses leverage social media platforms like Instagram, Facebook, Twitter and Pinterest to increase visibility, customer base and to build a loyal community of followers. She also does various virtual assistant work to take tasks off her clients to-do list and help grow their business. Kathryn loves camping, hot tea, local wine, and is a Harry Potter fangirl. She is addicted to learning new software and tool by taking many online courses. Originally from Sweden, Jessica currently runs and operates her own business while living in a small ski town in Colorado. From Office Manager at a boutique property management company to Development Coordinator for a local nonprofit organization, to an online entrepreneur and savvy business owner, Jessica have the perfect blend of experience to support the development of your dynamic business. She loves putting her creativity to good use by creating Social Media Strategies, Content Calendars, or writing blog posts and newsletters. She is also a self-proclaimed Personal Development junkie who loves creating systems in order to become more organized and productive. When Jessica is not creating engaging content for her clients’ Social Media Channels I love spending time outdoors. Living in the Rocky Mountains of Colorado I’m blessed to have access to the most amazing hiking trails. Skills: Business support, social media management, content creation, email marketing. Your go-to virtual assistant for your product launch needs. I also provide social media management services, and general administration. I have six years in medical office and ten years in customer service. I work as a social media evaluator and run Facebook groups. I help small & medium entrepreneurs to scale their business by providing reliable, high-level support that will add ‘value’ to every aspect of their business and enable them to spend more time that matters most, which is growing their business dreams. I offer project management from onboarding to delivering fully-functional projects in an efficient time frame. I, also, help in growing their business & take it to the next level by using updated, proven Social Media strategies. I use different platforms such as Facebook, Instagram, Youtube and LinkedIn to help reach their target audience & by being a consistent presence in their social media feeds. I set up and fully manage their social media platforms. Connect with me if you want help in managing your projects or learning how to use social media to improve your brand’s online presence through consistent content for your target audience. Rebecca is a recent transplant to Blooming, IL from Missouri and is enjoying her new adventure with her husband. She currently has clients for which she manages their Pinterest accounts helping them get more traffic to their blog/website and creates social media graphics using Canva. She also had an Amazon store for 6 years and is able to help entrepreneurs get their products on Amazon. Rebecca enjoys going back to St. Louis to visit her adorable grandbabies and hanging out with family. She also loves Farmhouse decor and is a creative who loves to make something beautiful with things that other people would consider junk. I’m a Virtual Assistant who specializes in providing business setup, social media, and admin support to new businesses and established businesses so they’re freed up to focus on their existing clients or work at bringing in new clients. Virtual Assistant Professional ready to help you with all your virtual needs! From bookkeeping to customer service to Administrative tasks, I can customize a package especially for you! Alvern has a background in technology with a passion for digital marketing over the last 10 years. She is an avid learner with a can-do attitude and a problem solver by nature. Her client-centric predisposition and business acumen leaves her clients delighted with the work that she does. Alvern’s strong points are writing/blogging, email marketing, SEO, Pinterest and funnel hacking. Heather Burgette has her Bachelor in Professional Writing and Master in Business Administration, both from Taylor University. Over the years, she’s traveled to the Dominican Republic, Ecuador, China, Hong Kong & Taiwan. She grew up in northern Indiana as the oldest of 8 kids, which of course greatly shaped her in many ways. She lives with her husband of nine and a half years and four kids. She’s taught college courses as an adjunct faculty member for the past 10 years, in addition to running her virtual services business. Her happy places are cooking in a quiet kitchen and watching sunsets because both are peaceful, creative experiences. Ashley Jerzak is a Northern fireball born and raised in the Midwest, but living in beautiful North Carolina. If being a millennial veteran wife, and mother of two amazing boys didn’t keep her busy enough, she is also currently going to school online majoring in marketing. Ashley spends most of her time working with clients, doing homework or writing, but for those precious moments that she isn’t, she is ecstatic to spend it with her husband and two sons, watching movies, spending time at the lake, cooking, or having a dance party with the kids. She is dedicated to living her best life so that her children can experience amazing opportunities and will stop at nothing until that is achieved. I am a VA for the past 5 years. I am also a mom to two beautiful boys and they are my WHY! I love what I do as a VA, I enjoy the challenge and diversity that comes with it all. My main niche is social media, so everything from content creation through to scheduling and management of social media platforms. I am also well versed in many other aspects of admin, research. data entry, email management, database creation and even have experience with WordPress websites. I also love writing so I do a lot of blog writing for clients – and again love the diversity and learning involved. I alleviate daily frustrations by handling your office administration. I’ve spent 15 years in Customer Service, Administrative and Managerial roles. I’m highly skilled in multi-tasking and do my best work when I can help others do their best as well. I enjoy working with small business owners and with organizations that stand for a greater cause. I desire to make a difference in this world and believe that every opportunity is an opportunity for success! Stacey Shevlin is a Philadelphia native currently traveling between Los Angeles and Europe. She has experience is a wide variety of industries including Advertising, Publishing, Technology, Restaurant and Bar, Real Estate, Music and Tv/Film. Within these industries, she has gathered a wide knowledge base and brings a host of skills including; project management, copywriting and editing, website building and management and on and off screen experience to the table. In her free time, she plays music, renovates her old stone house in Croatia and drinks craft beer on her back porch while indulging in her latest organic meal creation. I have been exposed to several of roles such as Resource Speaker, Teacher Aide, Management Training Staff, end-to-end Recruiter, Events Specialist, Leasing Admin and HR/Admin staff. I have set goals to guide/lead me to how I want to be in the next few years. Hence, hard work, focus, and perseverance are essential for me to succeed. I, also, have to further my experience in the field that I have chosen. I want to be exposed to people who would be able to train & impart their knowledge to me. To grow & support our business as the other co-founder, I invested in several trainings. My name is Brittany and I am from Ontario, Canada. I love spending time with my three children and husband. I enjoy writing and reading a good mystery novel. Skills: social media management, email management, booking appointments, answering phone calls, content creation. Camille Campins-Adams has a Master of Arts in Creative Writing from Saint Leo University and BAchelor of Business Administration in Marketing from the University of Miami. She is the author of MLB blog, “My Serendipitous LIfe as a Baseball Wife,” which ranked among the top 100 blogs on MLBlogs.com. With over a decade of industry experience, Camille is a versatile writer, editor, and skilled researcher. A freelance writer and author of two other niche blogs, she keeps herself busy writing about her life as a baseball wife, mother, and writer. Camille lives in Tampa, FL with her husband, two young boys, and fur pets. Skills: blogging, copywriting and content production, technical writing in real estate, construction, law, education, and religious topics, social media, nonfiction memoir. I’m Sherry, and I provide administrative and marketing support as a Virtual Assistant in a variety of online platforms. No matter your business size, from brand new to an established online presence, I’m here to help you with all your day to day digital implementation. Digital marketing and administration are essential but sometimes overwhelming and time consuming tasks. And as a small business owner myself, I understand the struggle – the time, money and energy that it takes. But don’t worry, I can help! I am passionate about helping businesses build, strengthen and grow their online presence through email marketing, landing page creation, online customer support, blog and social media management. I can implement these detailed, and time-consuming tasks so your business can grow, and you can focus on what matters to you. I can also take care of those every day, need to be done, task’s that you just don’t have time for. I would be extremely pleased to discuss how I can help you with your own personalized virtual support services.